Calling all Girl Scout Daisies, Brownies, and Juniors! 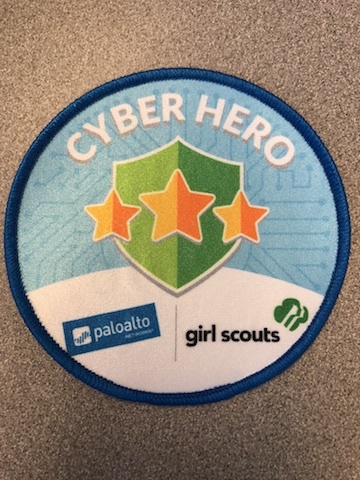 Here’s your chance to earn a special cybersecurity patch from Girl Scouts of the USA. These activities are from the Daisy, Brownie, and Junior cybersecurity badges. If you choose to swap out another activity, we highly recommend that you use one from Badge 1: Cybersecurity Basics, since that badge teaches foundational concepts that are built on in badges 2 and 3. Complete the activity and take lots of photos/videos. Be sure to include what you learned about cybersecurity and why it is so important, along with any plans you might have to earn another STEM or cybersecurity badge. Watch this video by a troop of Girl Scout Juniors who recently earned this special patch. Once your story and photos have been received, public relations director AnneMarie Harper will contact you regarding the number of patches you need and where they should be mailed. Patches will be distributed on a first come, first-serve basis. Questions? Email AnneMarie Harper at annemarie.harper@gscolorado.org.